Free download - programs for linux Internet Connection Repair Tool, JPEGsnoop, K-3D, Internet Download Accelerator, JDownloader, StudioLine Photo Basic, Mint Online TV, Pencil, FotoSketcher, Photology Free download! JPEGsnoop ::: a computer program to determine whether a photo was altered. With JPEGsnoop discover if a photo is authentic or if it is a trick photo. JPEGsnoop detects any changes made to the images. K-3D ::: a program to create animations and draw in 3D (three dimensions). With K-3D can draw three-dimensional geometric figures, objects, buildings or any other type of design you want, all in three dimensions. With K-3D can use the drawings created in three dimensions to create beautiful animations. »» Free download Internet Download Accelerator! Internet Download Accelerator ::: a software to manage Internet downloads. Internet Download Accelerator is a download manager fast, good and very efficient. Internet Download Accelerator greatly increases the speed of downloading files from the Internet. JDownloader ::: software for managing Internet downloads. With JDownloader can download from the most popular download sites like Rapidshare.com or Megaupload.com. JDownloader allows multiple parallel downloads and resumes the download from the point of which was suspended. »» Free download StudioLine Photo Basic! StudioLine Photo Basic ::: a software to edit and modify photos. StudioLine Photo Basic is a program for managing digital photos. With StudioLine Photo Basic can create attractive galleries of photos that can be put on CDs. »» Free download Mint Online TV! Mint Online TV ::: a software to view live TV via the internet. With Mint Online TV you can watch TV channels on your PC via the Internet from most countries of the world. Mint Online TV has more than a thousand channels sorted by country. Pencil ::: a computer program used to create cartoons. Pencil is a 2D graphics editor with can draw, edit and give color to the frames for animated films. With Pencil you can convert the cartoons created, in flash files (SWF), very useful if you want to publish them online. FotoSketcher ::: a program to convert photographs into drawings. FotoSketcher can convert a digital photo into a painting, a drawing or a sketch. FotoSketcher automatically converts the image, you can simply load the image and the program does everything in a matter of seconds. 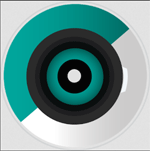 Photology ::: a software for managing digital photos. With Photology you can manage and organize all your digital photos from your computer. 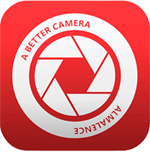 Photology also have a simple tool for editing digital photos.